Do you suffer from seasonal allergies, asthma or sinusitis? Every spring, allergy sufferers make the typical rounds with prescription medications, antihistamines and decongestants. Since none of these offer long-lasting relief and the accompanying drowsiness can be as bad as the symptoms themselves, an increasing number of patients are turning to complementary medicine, such as Halotherapy. Dry Salt therapy absorbs the pollen and allergens and enhances the respiratory system’s natural cleansing process. These treatments will also breakdown mucus in the nasal passage and airways and decreases bacteria and inflammation. Salt Therapy, also known as Halotherapy, is a natural way to treat respiratory and skin ailments. 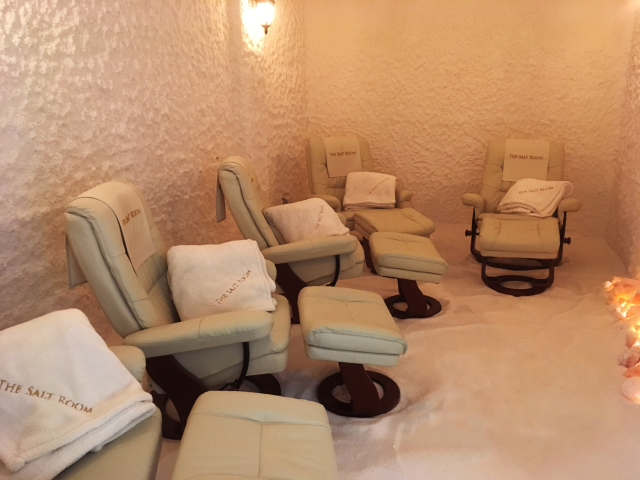 The thousands of pounds of Dead Sea salt on our walls and floor make the salt room a natural anti-bacterial, anti-fungal and anti-pathogenic environment. This promotes mucus clearance, acts as an anti-inflammatory and fights against harmful germs in the lungs. Our Halogenerator crushes pharmaceutical grade pure sodium chloride (salt) and disperses it as a dry salt aerosol into the salt room. Clients need only sit back and relax for 30 minutes and enjoy the tranquil setting, which some have described as being similar to a quiet day by the ocean. Call: 902-406-5433 to arrange your session date/time. © The Salt Room (2019) - All Rights Reserved.